update As we approach the end of 2006 and the coming Liberal leadership convention, I would like to offer a brief update on our work. Liberal As you know, following the destruction of the Progressive Conservative party and its takeover by Stephen Harper’s Alliance in 2003, I decided, after a considerable period of reflection and consultation, to join the Liberal party during the last election. 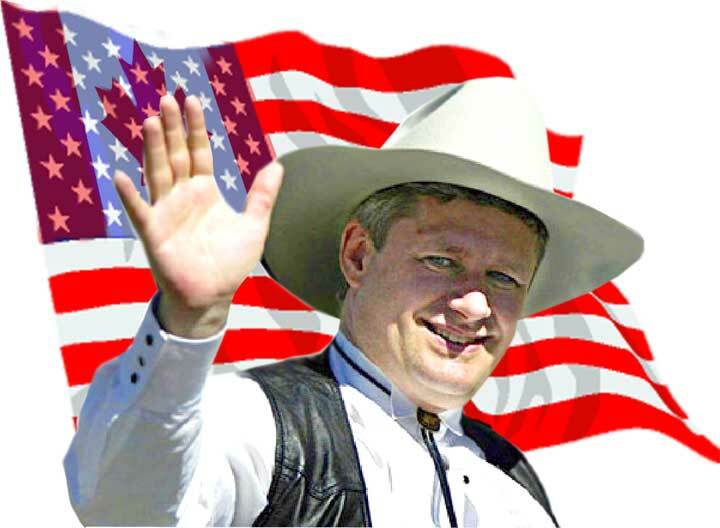 integration The Harper government is escalating Canada’s integration into the U.S. on all fronts — from the environment to foreign policy. It is rapidly deepening our involvement in the war in Afghanistan, has abandoned our commitments to Kyoto, the only international agreement to reduce harmful greenhouse gas emissions, and is systematically dismantling important national institutions. Wheat Board His government is going all out to destroy and privatize the Canadian Wheat Board, Canada’s largest net earner of foreign currency and the world’s largest marketer of wheat and barley. party As the coming months unfold the “new Conservatives” will move heaven and earth to obtain a majority in the next election. It seems to me that only a rejuvenated and rebuilt Liberal party can defeat and replace the Harper government and change our country's direction. I am working to help make that happen. roller I believe that only through mass public involvement in the political process can we avert the dangers facing our country, and I’m urging exactly that. If everyone concerned about the future of our country brings his or her ideas and energy into the political arena, we can derail the Harper steamroller. help On the farm our harvest has been a challenge this year — we’ve been at it for eight weeks and still have not completely finished! With your help, we will look forward to a political harvest in the months to come that will help us stop Mr. Harper’s plans for Canada and replace them with programmes to protect our environment and make sure Canada survives as an independent country. Editor's note: You can read more about Mr. Orchard's participation and his supporters role in the Liberal leadership process by going to his website. This page is a story posted on Ensign is a daily web sites offering a variety of material from scenic images, political commentary, information and news. These publications are the work of Faster Than Light Communications . If you would like to comment on this story or you wish to contact the editor of these sites please send us email.